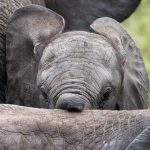 If you’re planning an African photo safari, you’ll need to give yourself a bit of time to figure out what the best camera gear is for your trip and where you’re going to get it. Everyone says good photography is not about the gear. It’s about the photographer’s skills and whether they can carry out their vision. I think that’s true most of the time. But in some cases, it’s really about the gear! Particularly for wildlife photography, you need big glass, and you need fast glass. Especially when you’re spending many thousands of dollars on your dream trip, you’re going to want to have the best gear you can get. That doesn’t mean you have to own it though! I highly recommend renting any equipment you would like to take but don’t own. I rent equipment all the time! That way I spend much less money on camera equipment than I used to and I always have the perfect lens for the job (and usually the latest and greatest models too). 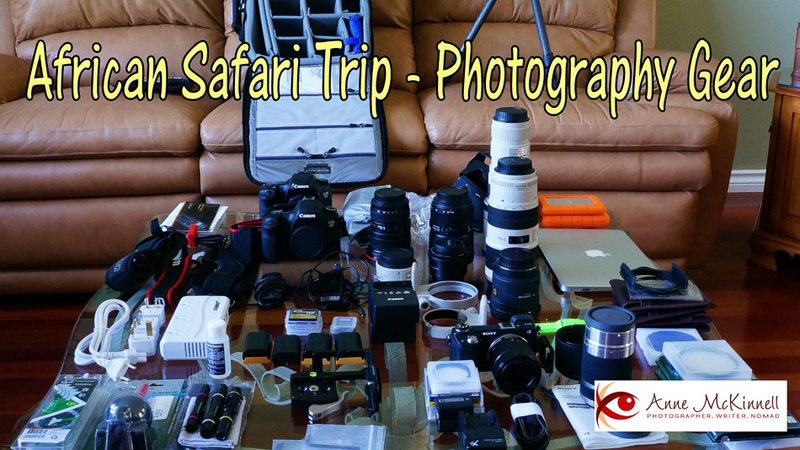 I did a lot of research figuring out what equipment would work best for me on my photo safari to Tanzania. 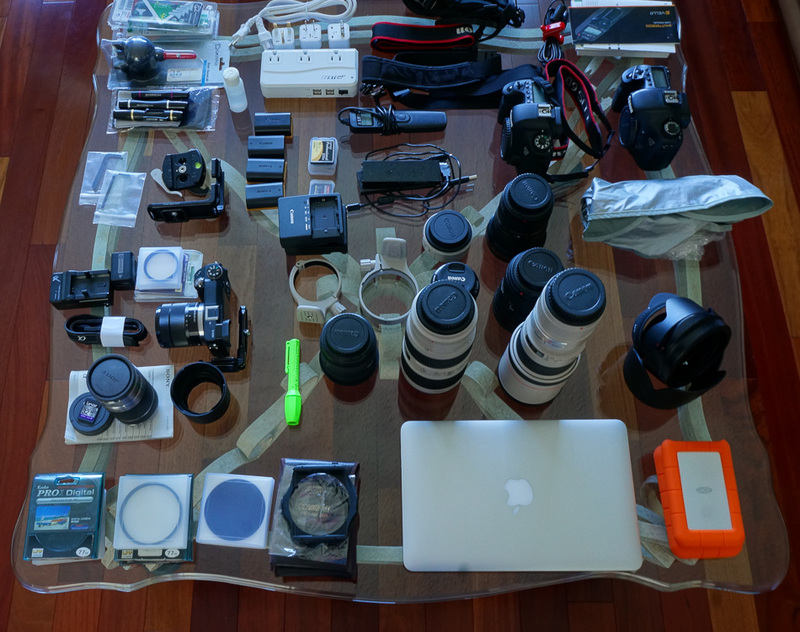 This video shows every single piece of equipment I took with me. There is also a list below and some comments about which pieces of equipments were the most useful and which ones I didn’t end up taking out of the bag. Out of all the equipment in the video, the only things I didn’t end up taking with me were the lens hoods for all lenses except the 70-200 f/2.8 (the 400mm f/4 has a built in hood that slides out). I figured I would just use my hat if I really need it for the other lenses. Turns out I didn’t need it. I also didn’t take the 55-210 lens for my Sony NEX6. The Sony was a great camera to have for taking “drive by” images from the vehicle when we were travelling from one place to the next and the regular 18-55 lens was perfect for that. Aside from those items, everything else in the video fit in the bag! Here is a list of all the equipment I used. For the camera bodies and lenses I have also included percentages that represent how often I used that equipment out of all the photos from the trip. Out of all of this equipment, I rented the 16-35, 24-70, 70-200, the 1.4 extender, and the 6D. I switch lenses a lot. And despite everyone who thinks they know better always telling me I’m doing it wrong, I’m fast, and I never get dust on my sensor. Yes, even in Africa. It turns out that African dust is no worse than a sandstorm in Arizona or blowing salt and sand on an Oregon beach. Take that — all you experts who say “but you’ve never shot in Africa”. Well now I have. It’s exactly the same. Of course, I don’t actually change lenses during the sandstorm! But unless I feel like my skin is being exfoliated by blowing sand, I switch all I want. That gave me a great focal range to work with without having to switch lenses. What would I change if I did it again? I didn’t like the 1.4 extender. I know a lot of people use them, which is why I gave it a try, but I didn’t think it was worth the hassle for what you get. All it does is change a 70mm into a 100. Given the high resolution cameras these days, I can do the same crop in post-processing without the hassle of having to take the extender on and off. I didn’t like to use it with my 400mm lens, where it would actually make a significant difference in focal length, because then auto-focus didn’t work and I am not good at focussing manually. Next time I wont take the 1.4 extender. I didn’t use the Sigma 10-20 or the Canon 50mm f/1.8 at all, so I probably wouldn’t take them next time if I was low on space. But both of those can come in handy under special circumstances. I would also rather have another 7D than use the 6D camera body. The frames per second makes a huge difference in wildlife photography and the 6D was too sluggish for me. I know the 6D is full frame, but I would rather have faster fps than more pixels. What were the most useful pieces of gear? If I had to choose only a few pieces, I would take the Canon 7D with the 70-200 f/2.8 and the 400 f/4. I used the 70-200 for 45% of my shots and the 400 for 40% of the shots. That leaves only 15% of the shots where I used other lenses. The Think Tank camera bag was awesome. You can fit a lot of stuff in it and the roller bag is excellent in an airport. The only downside is that the bag weights 11 pounds empty so if they happen to weigh your carry-on at the airport, you could be in trouble. I didn’t want to take the chance, so I wore one camera and lens on my body and put another lens in my pocket so if they did weigh the bag I would be within the 26 pound limit. After check-in, I put the equipment back in the bag before security. The bag is built like a tank and it comes with a couple of handy security features. First, you can lock the zipper so you can’t open it. Second, there is a cable so you can lock the bag to another object (like a vehicle or something heavy in your hotel room). So a thief can’t open the bag and you can’t take the whole bag. The only option for thieves is to cut the bag open and, since it’s built like a tank, that wouldn’t be so easy either. The 11inch MacBook Air is outstanding. It’s not much bigger than an iPad with all the features of a full computer. It was well worth it. 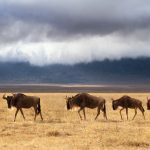 I hope this information is helpful for any of you who are planning an African photo safari or another photography trip. If you have any questions or suggestions about the gear choices, please feel free to leave comments below. Did you use the camera bag for everyday shooting or did you take part of the equipment in another bag (what bag) for your daily shooting. If you used the think tank bag for daily shooting, how did you feel about opening the whole bag up to switch lenses? Hi Joni, yes, I had the bag on the seat beside me and used it to shoot out of. When the vehicle wasn’t moving I left it unzipped and sometimes even while moving I often only zipped it up partially to make for easier access. I did wish the bag opened the other way (so the hinge is on the long side rather than the short side) because I think that would have been a little less awkward. I’m not sure I would use the bag unless I was shooting out of a vehicle. I just can’t imagine rolling it up a hiking trail! But it worked great for this sort of trip. The reason airlines limit carryon weight is not to harass passengers, but for safety. In turbulence, overhead lockers open and bags drop out. When that grossly overweight bag full of gear falls on your head, it may kill you if one of the hard corners hits your skull. You’ll take that risk, but what if it’s a child with an even more fragile skull sitting underneath? It might not be turbulence, it could be a fumble while struggling to get that heavy bag in or out of the locker. Someone jostles you awkwardly, and it slips from your hands. Think about what you are packing next time. I also wouldn’t be too sanguine about security of your “built like a tank” bag. Bolt cutters will easily slice through any lock light enough to be carried on the bag, and even then, it’s child’s play to just stick a screwdriver through the zip and peel it apart. Try it sometime with an old bag. Zip it up, put the tip of a Bic ballpoint on the zipper join and shove it through. Once you’ve made a hole, it unzips easily. I actually don’t worry about theft too much. That’s what insurance is for (although I’m a lot more careful before my trip than after my trip just because of the hassle). But I think most thefts are crimes of opportunity so having those extra locks just slows things down enough to discourage people. Hi Anne, as always your comments are well written, interesting and very valuable. I have been looking at swapping my Sigma 150-500 for the Canon 400/5.6 and your comments have sealed the deal. The Sigma has a tendency towards softness at the long end and everywhere I look the crispness of the Canon lens is lauded. How did you feel about the lack of IS, though? Did you find it a problem? I was thinking about the extender as well to use with the 400 but have been warned that it compromises image quality and, as you rightly say, with the huge number of pixels on sensors these days one can crop comfortably by this sort of factor and still get a good A4 print at a minimum. Looking forward to seeing the African images. Hi James, Since I use the 400mm primarily for wildlife photography, I’m always using a relatively fast shutter speed, so I don’t find the lack of image stabilization on that lens affects me at all. Usually 1/500th of a second is my minimum unless I’m purposefully trying to do motion blurs. It’s a nice light lens too (compared to the other 400mm’s on the market). I can easily hand-hold it whereas the other larger lenses would be hard to hand-hold for very long. I hope that helps. Thanks for your visit and comments. I’m sorry, but that’s just a ridiculous amount of gear to take anywhere. Haha, I had less gear than anyone else! Whenever I travel with other photographers, I always have the smallest kit. 2 bodies and 5 lenses is actually not an outrageous amount for a pro photographer. When I went to Africa I packed everything I felt I could possibly need. It’s not like there are camera shops on every corner. I would rather take more gear and end up not using it then to not have it and miss a fantastic opportunity. Weight for carry on bags isn’t about safety, it’s about fuel costs. The heavy the plane the more fuel it takes to get it to its destination. A ten pound bag could fall on an infant and kill them. It’s about saving money. If safety was the reason they could easily put a pin in each overhead bin preventing from being opened. I wore a photo vest when I boarded my flights to Africa to get under the weight limit as they don’t count what your wearing as carry on. Then I placed it back in the bag once I cleared the gate and was at my seat. Didn’t stand in the aisle so I didn’t hold up the boarding process and I had all the gear needed for my African Safari. Looks like we’re thinking along the same lines Kevin! Thanks for your visit and comments. You mention bringing your manuals. I agree it is very nice to have them, and I assume that you are referring to e copies of them. I have all of mine loaded on my mini iPad. Hi Des, no I actually took the paper copies because I didn’t have any “devices” on the game drives with me and the manuals are pretty small. I had my computer back at camp, but I didn’t take it on game drives. Next time you visit Africa please come down to us in South Africa where you can rent all your glass and stuff saving you an awful lot of trouble. Can’t wait to see your photos! That’s a good point, being able to rent lenses after I get there would make a big difference. Thanks for the suggestion Adriaan! I was wondering what your opinions are of bringing a huge lens as a 500 or 600mm f4. Do you think that the weight, size and all the inconveniences involved are worth the quality and magnification these lenses can provide? Hi Angelo, I know that some people do take 500 or 600mm lenses on these kinds of trips. But they are huge and weigh a ton. I guess if you’re flying business class and you have that extra weight allowance in your carry on, then why not. But for me, carrying one lens that weighs 8 pounds would mean I couldn’t take much else. So I guess for me the answer is no. Thanks for the question! 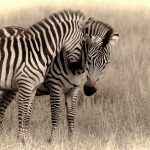 Thanks for posting this – I’m hoping to get to Africa in the next year and am wondering about what gear to bring. This will be a big help! I also like the idea of renting the big lenses. Interesting that you didn’t have trouble with dust when changing lenses. 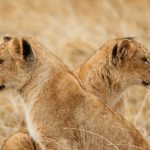 I’ve read so much about how you shouldn’t change lenses when on safari in Africa. I live in Alaska and have changed lenses regularly in places that most people swear you shouldn’t, and have never had a problem with getting dust on my sensor. Can’t wait to read about your trip and see your photographs! HI Gayle, I’m so glad my post was helpful for you in planning your own trip. Some people seem to have more troubles than others when it comes to dust. Maybe it’s related to camera models? But I think if you haven’t had any problems in the past, you probably wont encounter any different in Africa. A dust storm is a dust storm anywhere. Thanks for your visit and comments! Thanks for info, I just went to Glacier National park for hiking & taking photo, I carried only D610 & 24-120 F4. I think I have had enough I can’t carry more for next travel, I will looking for smaller gears. Maybe I have to think again when I see your gears. Next time you don’t need to carry sensor cleaning kit, try this sensor gel stick (http://photographylife.com/product/sensor-gel-stick). I used cleaning kit before it didn’t clean & clear like gel stick. I used for my D 7000 It worked easier & better (not yet need for my D610 @ this time). Wow, thanks for sharing this thorough walk through on how you prepared! Your photos are going to come out amazing!! Thank you very much Mary, I appreciate it. Would love to take your course but I’m a 70 year old using a walker and soon a scooter. have to rely on others for transportation. Hi Robert, Thanks for your comments. I hope you are able to get to some beautiful places in your scooter and maybe you even have some nice things to photograph right in your own back yard. 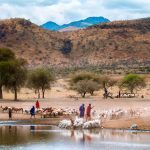 You don’t actually have to travel to far away places for photography. I’m doing lots of travelling right now, but you don’t have to. When I had a house I used to do lots of photography in the back yard. I actually have quite a few people from the “senior” crowd in my group 🙂 But I certainly can appreciate the difficulty in getting around since I have family members who are going through the same thing right now. Stay safe! Hi Janell, well, I usually first take off the body cap from the lens in the bag. Then I balance the camera body either on my lap or have it hanging from the camera strap. I want to have one hand for each lens basically. I take the lens off with one hand and put the new one on with the other, so the amount of time that there is no lens on is not even a second. That’s the way I do it. Most people tell me I’m doing it wrong all the time though! You’re supposed to hold the camera body upside down, but for me that just leaves the camera open way longer because then I only have one free hand so I have to put one lens down before I can pick the other one up. My method works for me, so it might be worth a try. I am totally going to try that! 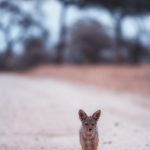 I am just starting my career as an wildlife photographer and will surely consider all your tips while preparing my camera gears. Looking forward for more post !! Hi Jay, glad you enjoyed it! Thanks for your comments. Hey! I am wondering how do you get so many things? Like lenses, bodies and all the other stuff. Do you really need them? For example, can’t you use like two alll-in-ones, one like 18-300mm and another like IDK 400-600mm, if there really is a lens like that? Can’t you find a sharp lens with lots of zoom? And isn’t it hard to carry so much stuff?